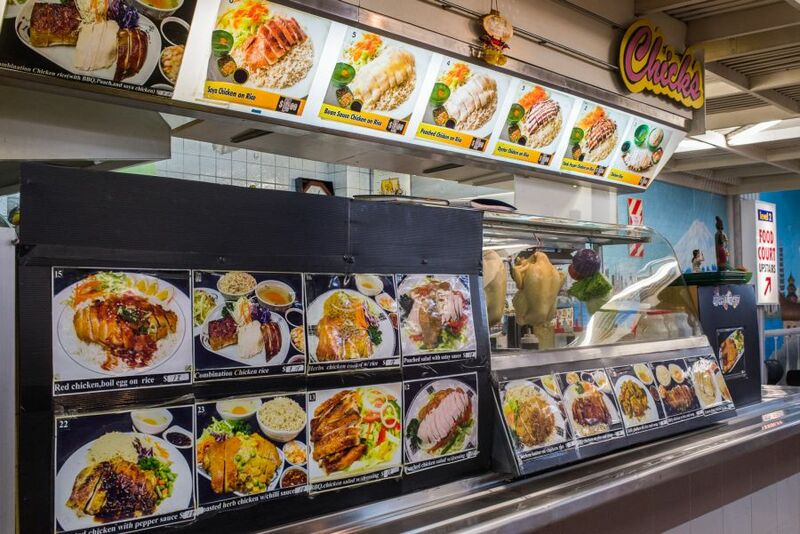 It was Elle of The Big Foody Auckland Tastebud Tour who told us about Food Alley, Auckland’s largest Asian food court. 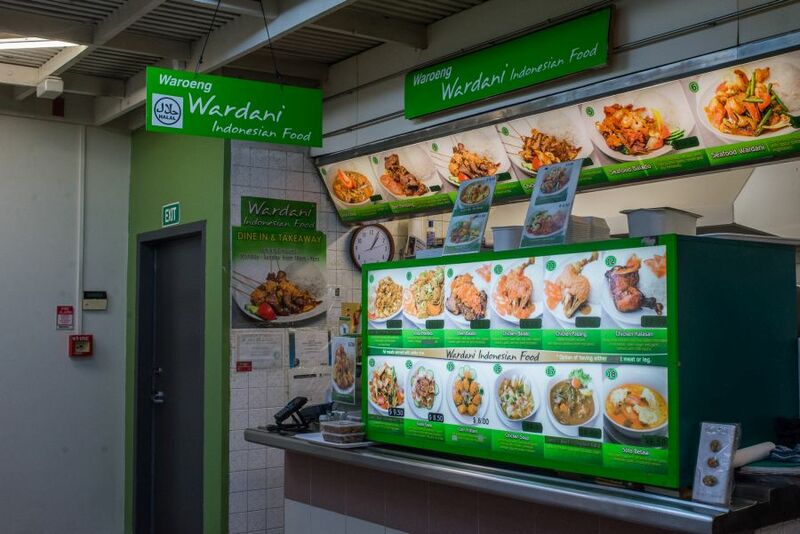 Established in 1992, it features 18 kitchens over two levels, covering Malaysian, Indonesian, Chinese, Korean, Laotian, Japanese, Thai, Persian, Indian and Vietnamese cuisines. 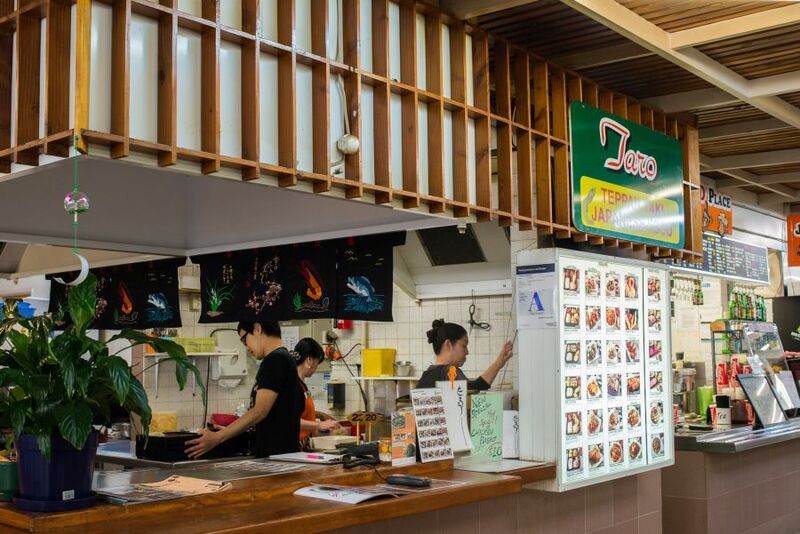 The decor is simple and typical food hall: tiled floors and walls, fluorescent lights; generally functional rather than decorative, apart from a couple of red Chinese lanterns as you walk in. 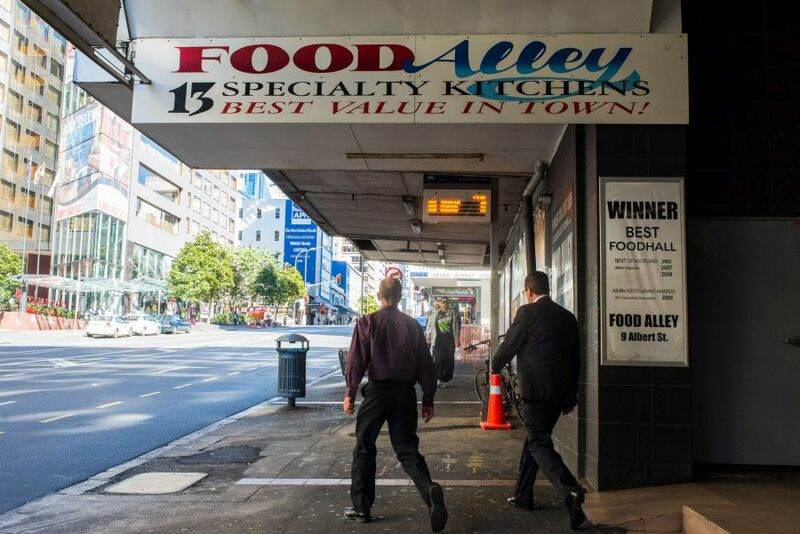 A sign outside proudly proclaims Food Alley as “The Centre of Authentic Asian Cuisine”, winner of Auckland’s Best Food Hall 2002, 2007 and 2008 – but the crowd and activity inside are far more impressive and enticing than signs or awards. 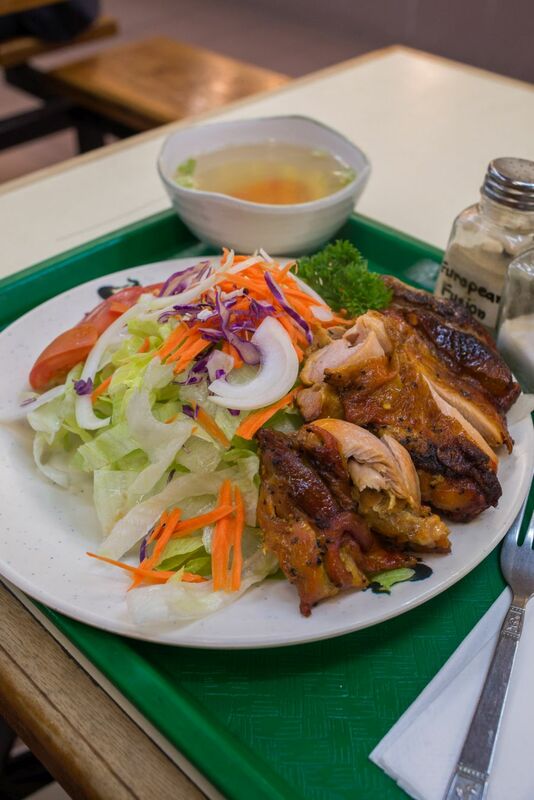 It’s got that no-frills, no reservations, known-to-locals Bourdain-esque appeal. 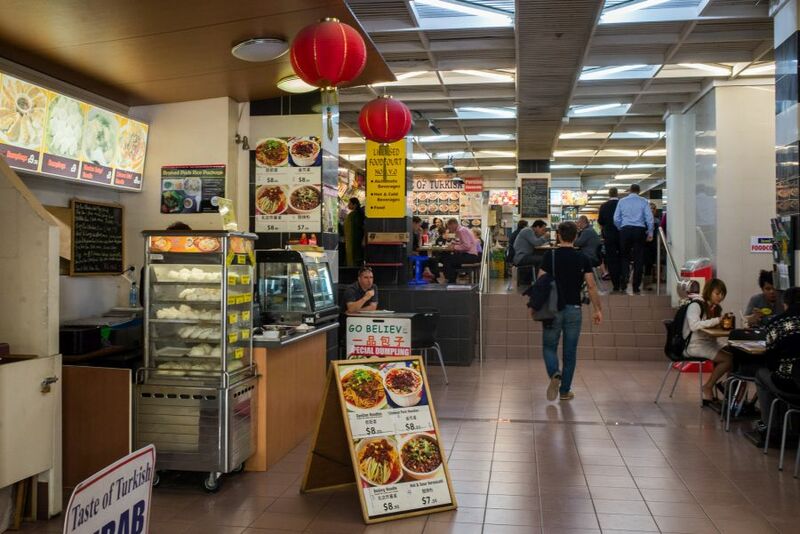 I was excited to find Food Alley; I’d never thought one of my favourite places on our Auckland holiday would be a food court, but this is my kind of place… it was like I’d found home. 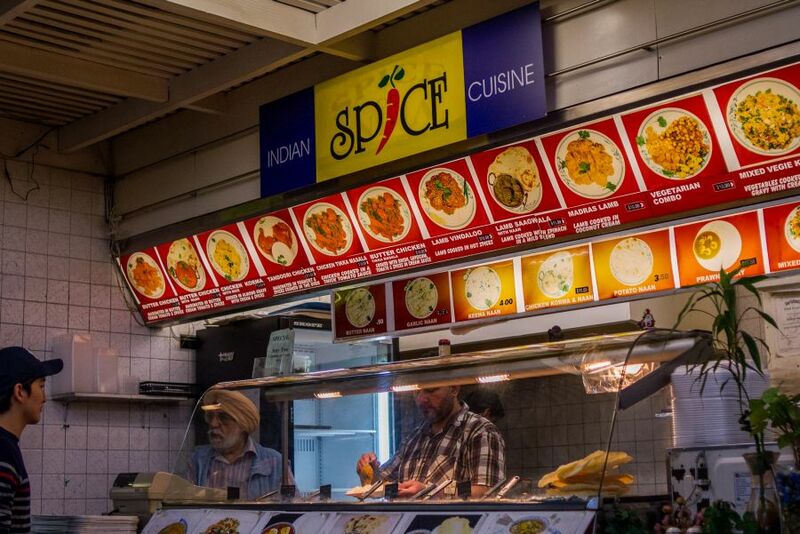 Back in Perth, food courts are among my favourite places for a cheap, satisfying feed – we’re regulars at Spencer Village in Thornlie and the International Eating House in East Victoria Park. 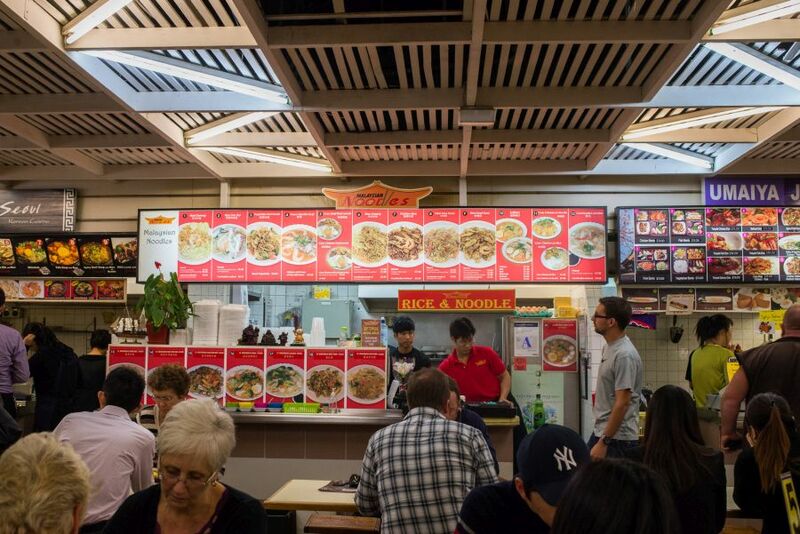 Some people I know insist the best char kway teow to be found in Perth is cooked in a kitchen at Cambridge Forum food court. 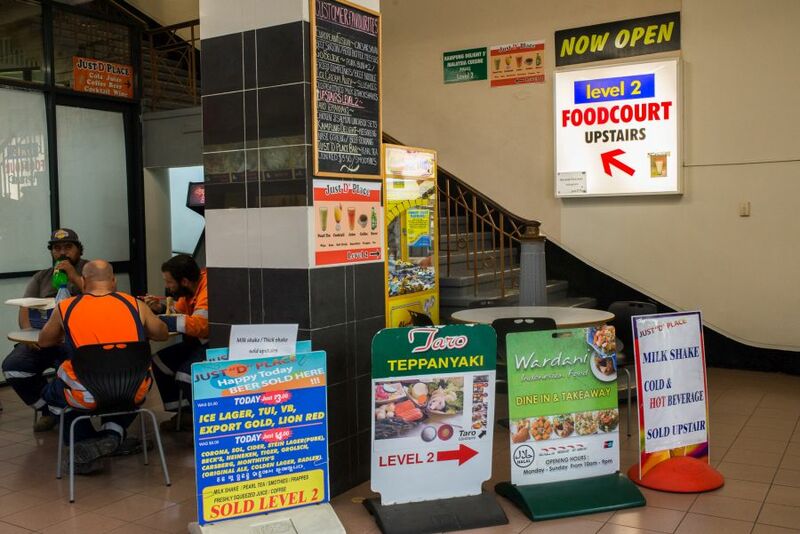 Food Alley has the the same comfortable feel, but with the advantage of being located right in the city. Many of the diners around us were clearly city workers on their lunch break, lucky buggers! 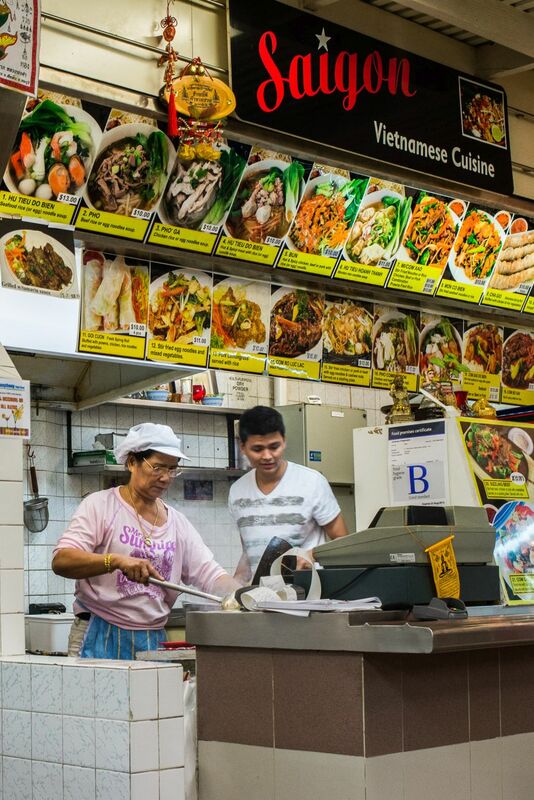 A number of Food Alley kitchens display a food grading certificate, which indicates how well they comply with food safety regulations. The only acceptable grades are A (high level of compliance, with a special Gold A awarded for “excellence”) and B (“good”); there’s no “C” awarded. You wouldn’t want to eat from a D (“poor”) or E (“unsatisfactory”). 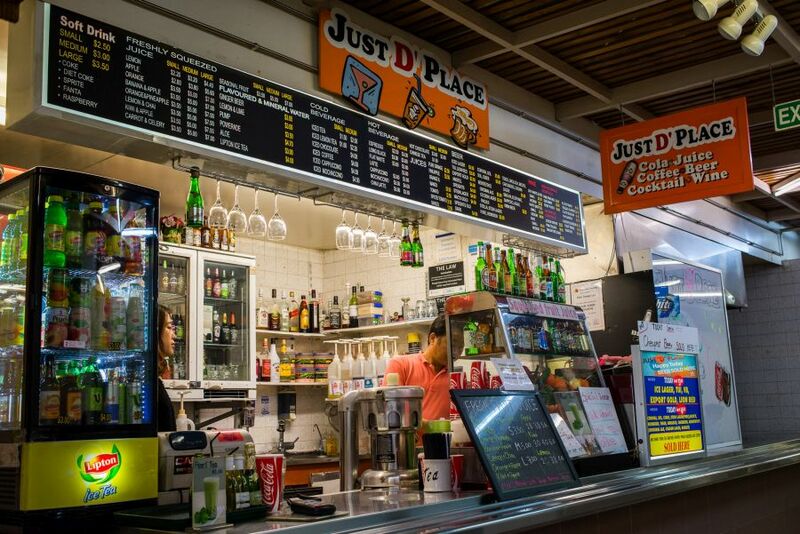 Just D’ Place, drinks stand – beer, wine, cocktails, mocktails, soft drinks and freshly squeezed juice. You can’t see it in this picture, but they had a “A” certificate on display. 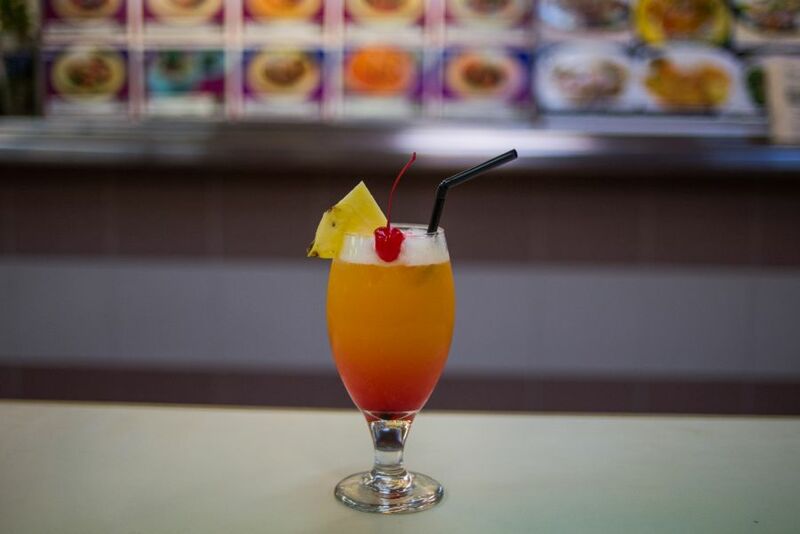 My Sunshine mocktail (NZ$5) from Just D’ Place – orange juice, pineapple juice, lemonade and a dash of grenadine. After chucking a couple of laps around the stalls, we both chose dishes from Chicks. 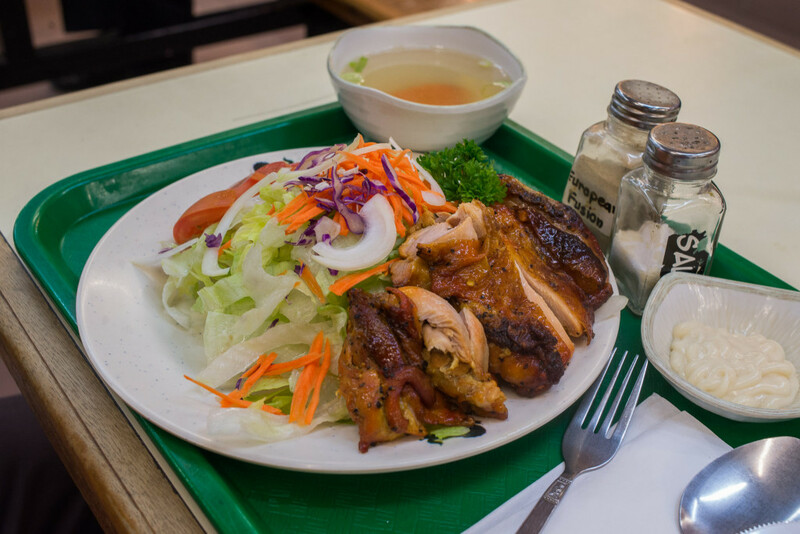 Jac chose No.13: BBQ chicken and salad with dressing, and I chose No.1: chicken rice, Hainanese style chicken rice with chicken-flavoured rice, steamed chicken and clear chicken broth. 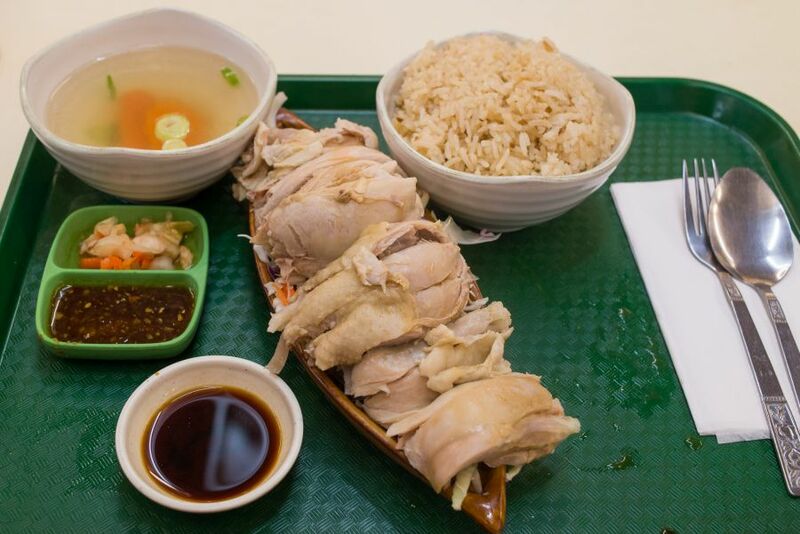 My chicken rice wasn’t the best I’ve eaten – my personal No.1 in Perth is still the chicken rice at Tak Chee House in Northbridge. Chicks’ chicken rice had an excellent flavour, tasty enough to eat on its own. The broth needed seasoning (a dribble of soy sauce to the rescue! ), although the cooked slices of carrot at the bottom of the bowl were sweet and tender and reminded me of homemade carrot soup my late grandma used to cook. There was plenty of chicken, but the presentation wasn’t the best – it looked like the bloke doing the cooking had ripped the chook apart with his bare hands then crammed the pieces into the boat-shaped dish (no, I’m not suggesting that’s what he did literally). The ripped apart look didn’t put me off, but the meat was a little dry. Jac’s BBQ chicken was arranged nicely on fresh iceberg lettuce, with carrot, red cabbage, onion and tomato, served with salt and pepper (labeled “European Fusion”) and a dish of mayonnaise. No.13: BBQ chicken and salad with dressing (mayonnaise) – from Chicks. Chicks and Just D’ Place are on Level 2 upstairs. If you need inspiration for what to order, “Customer favourites” for each level are posted on blackboards. Sure, my meal wasn’t the best this time – but there’s something I love about a bonafide food hall, and there’ll be plenty more to choose from next time. Are you a food hall fan? 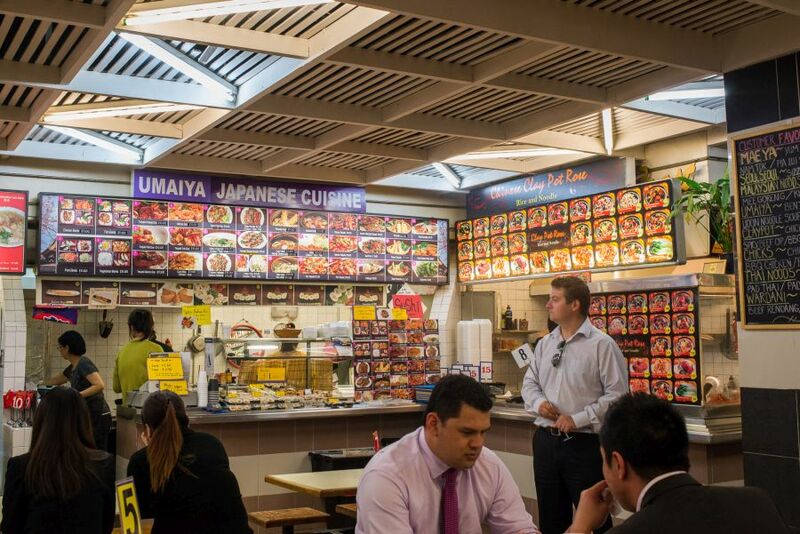 Where’s your favourite food court, and what’s your favourite meal to eat there? I’ll be back in New Zealand to experience the Hawke’s Bay region as a guest of Tourism New Zealand, flying out of Perth this Friday night. 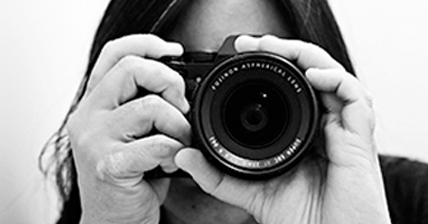 As usual, you’ll be able to follow my adventures via Twitter and Facebook. Jac won’t be with me on this trip – what should I bring back for her this time? Yes, I promise – not packed with dirty undies. And there’s more Perth and WA blog goodness coming up. I’m especially looking forward to delicious times ahead with a couple of WA food festivals coming up in June – the Avon Valley Gourmet Food & Wine Festival, and Truffle Kerfuffle in Manjimup.